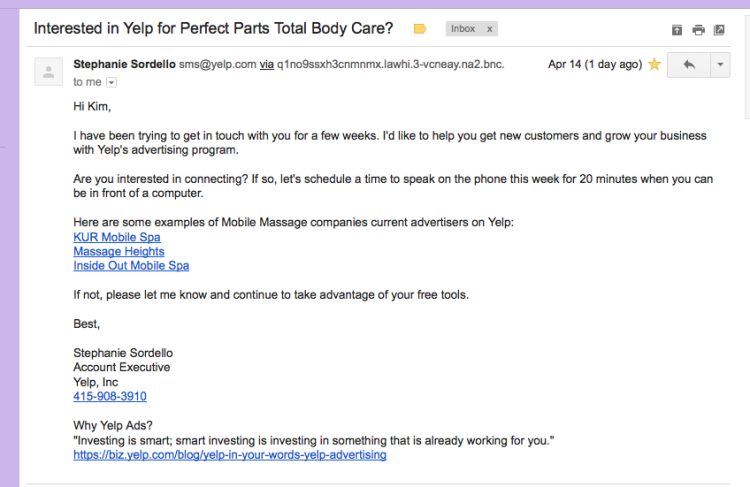 I AM POSTING SCREENSHOTS OF AN EMAIL I RECEIVED FROM YELP ADVERTISING LETTING ME KNOW MY COMPETITORS WHO ADVERTISE WITH THEM ARE GETTING RESULTS! SINCE NOVEMBER I HAVE BEEN ASKING THEM TO REMOVE THE DEFAMATORY COMMENTARY BY MY COMPETITOR WHO WROTE 9 VERSIONS OF HER REVIEW! NO CHANCE! 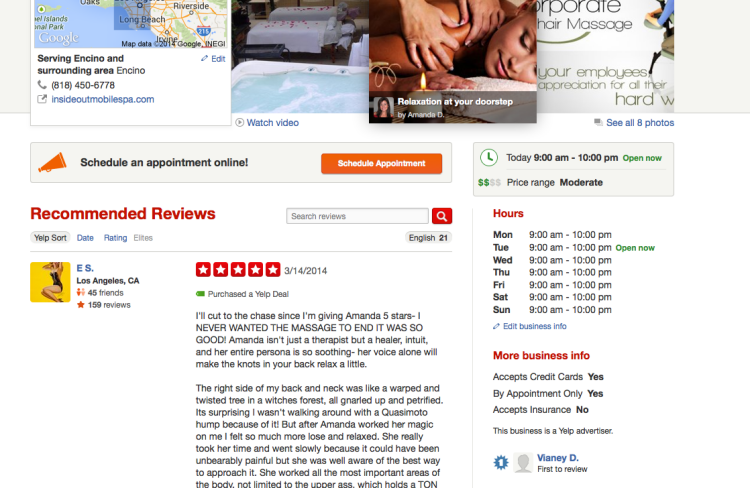 WELL HERE IS THE PROOF ALTHOUGH SHE DENIES IT IN HER REVIEW! 2. 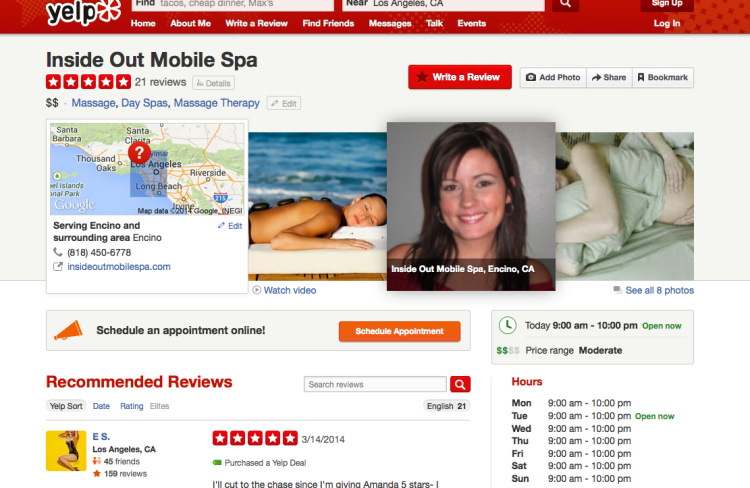 The reviewers own business on Yelp, direct competitor with a Mobile massage business! 3. 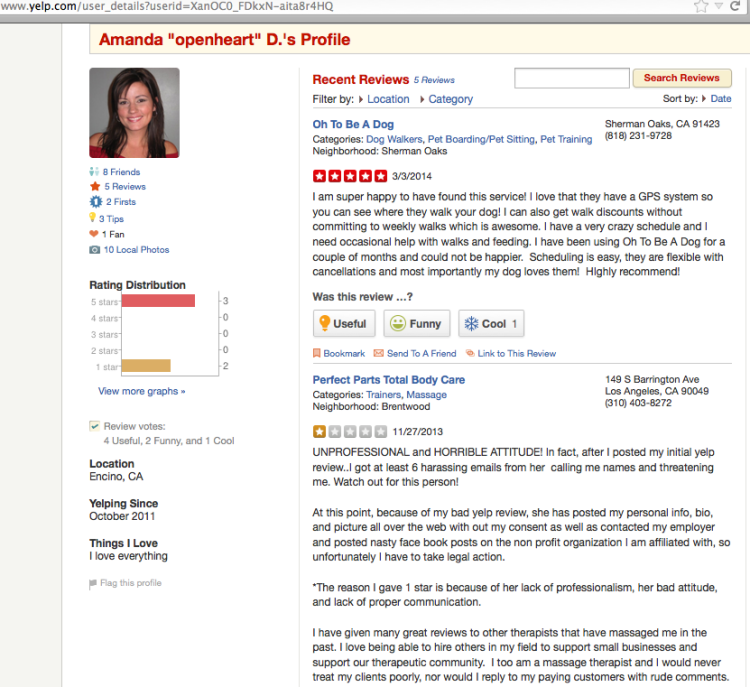 Amanda D. Yelp review page with her review for my business! 4. 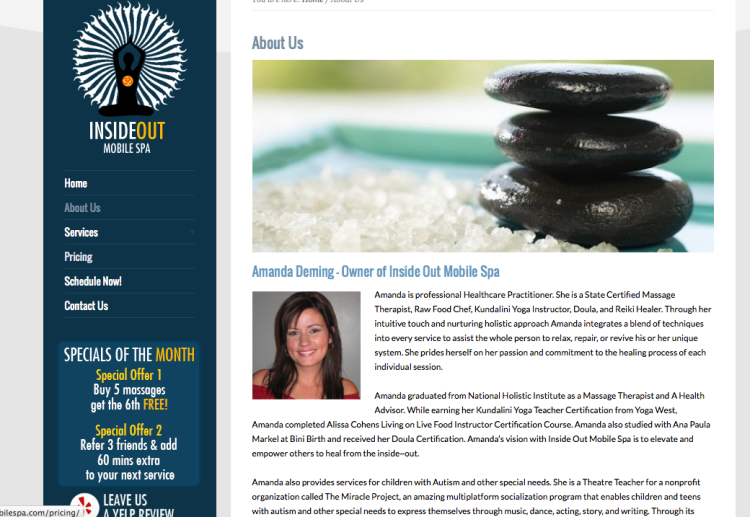 Amanda Deming OWNER of mobile massage website.